Jan. 19, 2019 7:07 a.m. Emergency crews were on scene last night in Peachland at Robinson Place as a home was engulfed in smoke and fire. 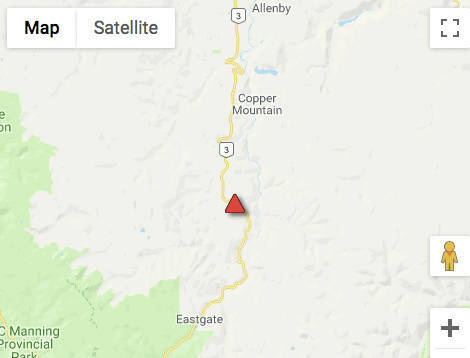 The road was closed as the fire department combated the fire around 8 p.m., as well as and Okanagan Highway pullout was also closed as crews feared power lines may come down, according to witness reports. The single structure fire, which is believed to have started in the garage had already spread to the house when fire crews arrived shortly after 8 p.m., said fire chief Dennis Craig. It was a stubborn fire, crews were there until 2 p.m., he said. The two occupants who were home at the time, and they managed to escape before making a 911 call. A small dog died in the house, Craig said.